Infiniti has introduced the 320PS V6-powered all-wheel drive G37x S sports saloon to its network of Infiniti Centres, priced from £38,979. The rest of the Infiniti G line up has been given a visual overhaul, too. 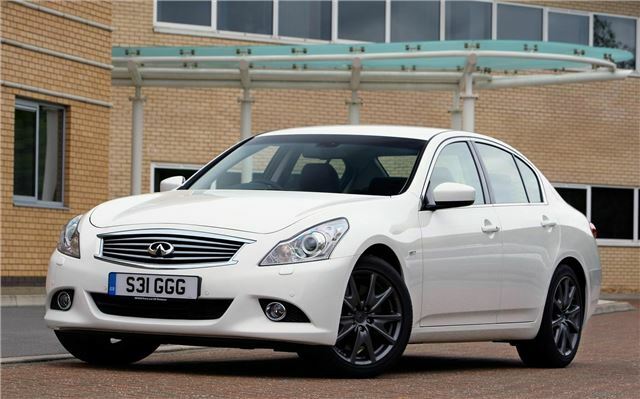 The G37x S features a 3.7-litre V6 engine with a power output of 320PS. Power is transferred to all four wheels via a seven-speed paddle shift automatic gearbox, which makes for swift performance. 0-62mph takes 6.0 seconds and top speed – if you can find a legal place to drive so fast – is 149mph. Such performance means efficiency isn’t great at 25.7mpg, with emissions of 255g/km. The G37x S is well equipped as standard, featuring 18-inch alloy wheels, sports seats, hard-drive based navigation and media system, 10-speaker BOSE audio, leather trim, keyless entry, reversing camera and touch screen infotainment. The only option is metallic paint at £577. There’s also a G37x S Premium model, priced at £40,619. It features the same equipment as the standard G37x S but with the addition of driver focussed four wheel active steering, sports suspension, sports brakes, a limited slip differential, intelligent cruise control and intelligent brake assist. The G37x S is on sale now.